8 nos of more community market in different location of Action Area I and II. Different Awareness Programme on Solar City Project. 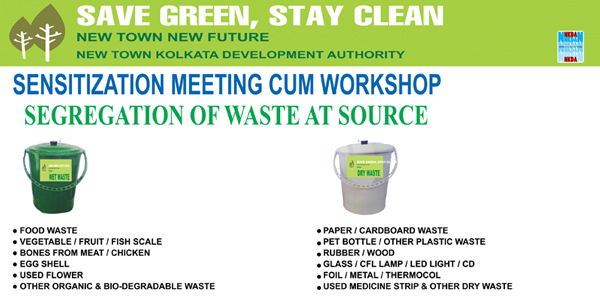 e-Governance System in New Town Kolkata. 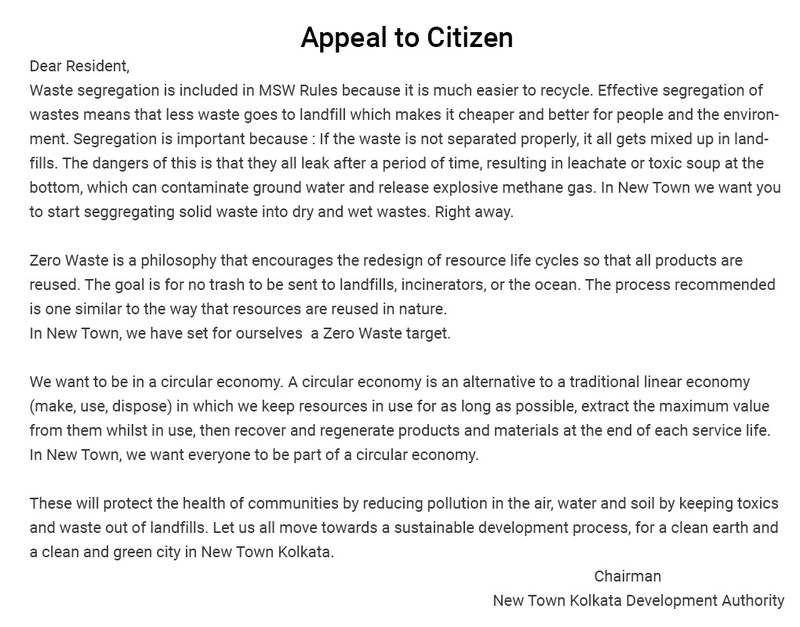 m-Governance System in New Town Kolkata. 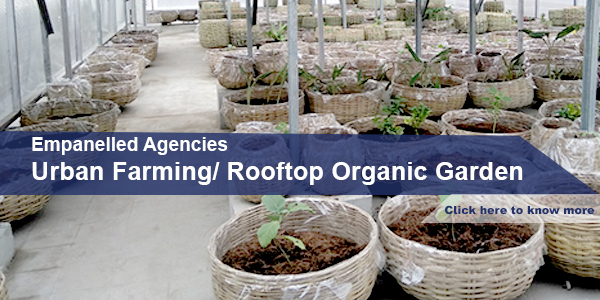 Development of Roof Top Vegetable Garden over CB Community Market in AA-IC, New Town. Construction for development of green verge, children park etc. including boundary wall along with peripheral of existing proposed open plot(no.01) and other ancillary works adjacent to Street no.183-224 at CE Block in AA-IC. Construction of RCC framed Pay & Use Toilet & Restaurant at 1st floor including allied works in between DLF-II & Ecospace. Completion of Swimming Pool and Business Club. 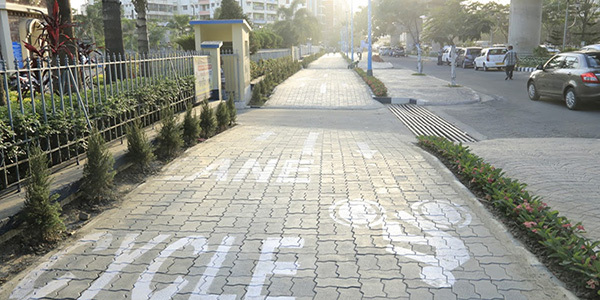 Completion of fee parking zone near Tata Cancer Hospital. Completion of Sensory Park at AC Block, Action Area -IC. Football Gallery at AD Block. Completion of BA Park at Action Area - IB. Completion and commissioning of 500 KW Canal top Solar Power Plant near Eco- Park and integration with the Power Grid. Completion of Business Club with two Swimming Pools, Gymnasium, Tennis Court and Basket Ball Court. Completion of Upasana Griha at Biswarjan Ghat at A/A - ID. Completion of Sensory Park for specially abled children. Completion of 7 nos. 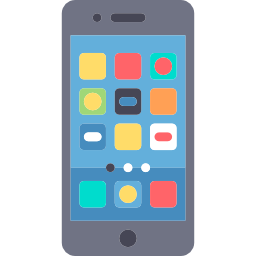 Community Markets at Action Areas -IIB, IIC, IID, IC, ID and DB. Completion of Replica of Ghoom Station Paltform with Toy Train within Eco-park. Completion of New Town Mela Ground with Auditorium. Completion of Car Parking Space near Tata Medical Centre. New Town Plaza and Watch tower. Development of Park at Action Area IIB and IIC Block. Construction of 10 nos of community markets. Out of 03 have already been allotted. 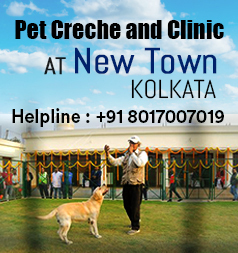 Completion of 03 nos of parks at different locations of New Town Kolkata. 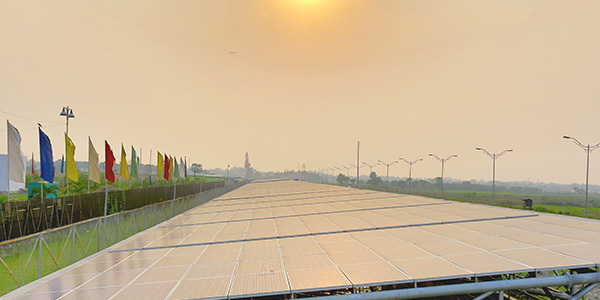 Approval of Solar City Master Plan by Ministry of New and Renewable Energy, Govt. of India. Completion of Cricket Ground at Action Area- IID. Completion of 12 kW grid connected Roof top solar power plant at NKDA building of 01 MAR. 10 kW Grid connected floating solar power plant at “Smitibon”, Action Area- IB, New Town Kolkata. Completion of Pyramidal Tower & congregation centre at Action Area-IB near Home Town. Construction Weigh Bridge at Action Area IC, Newtown, Kolkata. Food Court behind Sishu Tirtha Park at AD Block, New Town, Kolkata. Construction of Immersion Ghat at Action Area-ID New Town, Kolkata. Construction of 02 (two) nos of Passenger Shed near Eco Park New Town Kolkata. 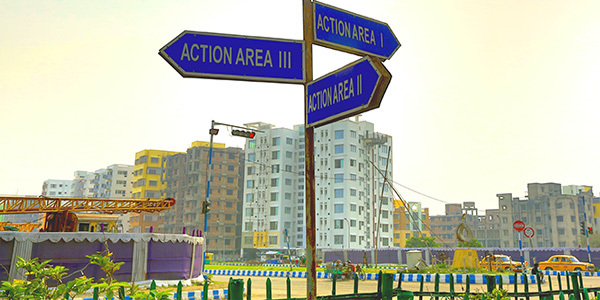 Installation of Road’s Signage in AA-I C and AA-I D.
Development of Mela Ground at New Town Kolkata. 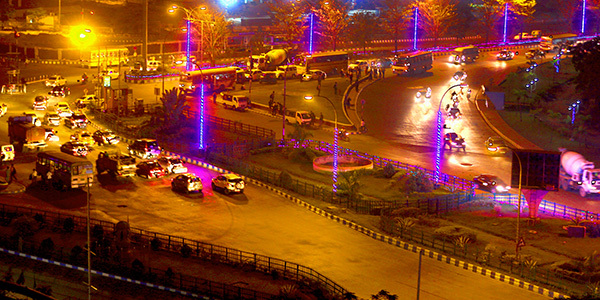 Introduction for m-Grivence System for New Town Kolkata. Manual sweeping and clearing of roads for New Town Kolkata. Community Market of IB likely to be completed. Fees parking zones near Home Town, Asix Mall, Coal India at New Town Kolkata. Introduction of Fire Audit to check fire safety measurement for large projects. Application of Bio-metric attendance system. 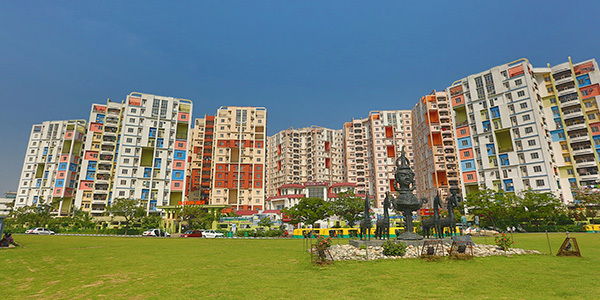 Completion of Bibek Tirtha, Rabindra Tirth Sisu Uddan, AI Park, Theme Park at different location of Action Area-I New Town Kolkata. 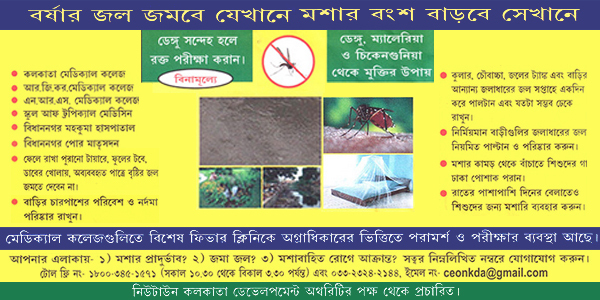 07 (Seven) nos of Passenger Shed at different location of Action Area-I and II of New Town Kolkata. Installation of Traffic Signal with Control Kiosk in 5 different location of New Town Kolkata. Installation of Road’s Signage and Road’s Maps in AA-I A and AA-I B. 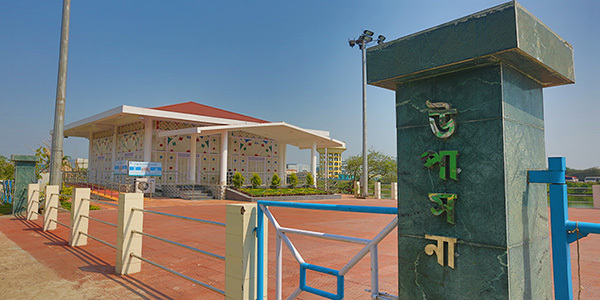 Development of a Children’s Park in AD Block (Sishu Tirtha) .This is the first Children’s Park in New Town. 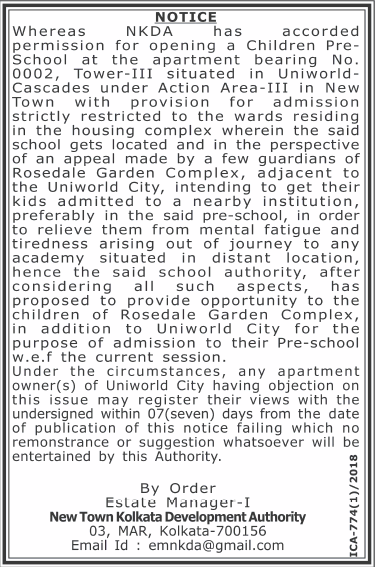 Development and opening of a public playground in AD Block. This is the first public playground in New Town. Beautification from Bridge over Kestopur canal to 1st Bridge over Bagjala canal along median verge of M.A.R. Starting of collection and disposal of Solid Waste since November, 2011. Starting of work relating to Record of Title (Mutation) since November, 2011. Plantation of coconut trees along link canal connecting Bagjala and Kestopur canal. Finalization of development of two Community Markets in 1A & 1B. Construction of one bus stops along M.A.R at 1st Rotary. Installation of Traffic Signal in 1st Rotary along with Control Kiosk. Construction of Pay and Use Toilet at 1st Rotary in AA-I. 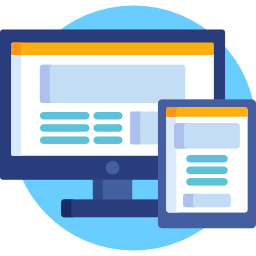 Maintenance of accounts through software. 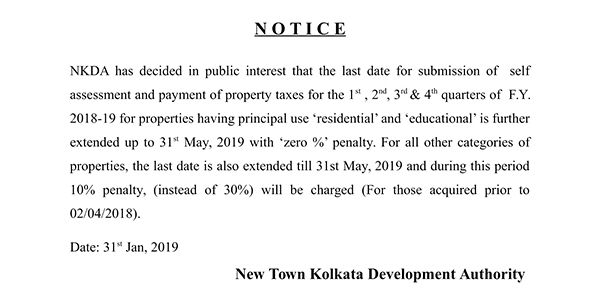 Notice issued by West Bengal Valuation Board regarding valuation of property of New Town Kolkata. 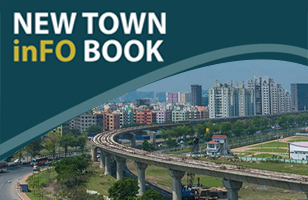 Tender of New Town Kolkata Development Authority. Record of title of Land, Building etc. As per the directions received from the Ministry of Urban Development, Government of India, we have to submit an upgraded Smart City Proposal, taking into consideration the inputs received from the citizens and stakeholders within the broad framework of observations made available by the team of experts who have evaluated the plan. You are therefore invited to go through our Smart City Plan in detail along with the observations of the expert panel The links of which have been provided underneath) and submit your inputs within 02/03/2016. 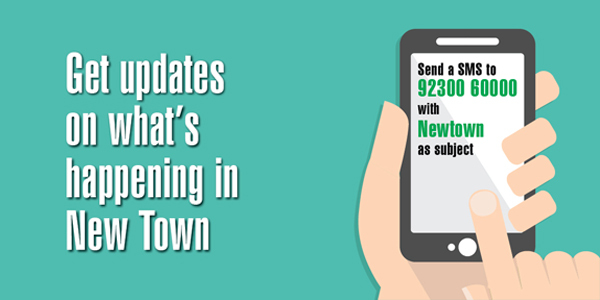 You can send your suggestions online to the email id smartcity@nkda.in or submit written copies at the Smart City Help Desk at the office of New Town Kolkata Development Authority, No 3, MAR, New Town, Kolkata – 700156. Click here to download the Observations of the Expert Panel of MoUD, GoI.